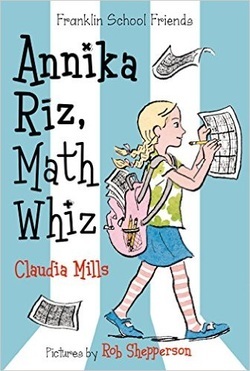 Annika Riz loves math more than anything, so when she hears about a sudoku contest at the local public library, she is determined to win it - maybe then her friends Kelsey Green and Izzy Barr will see that math is just as cool as reading and running. When the school carnival, the biggest fundraiser of the year, comes around, Annika realizes her class booth is losing money by selling their lemonade too cheaply. Annika embraces her math skills, saves the day, and shows her friends that math can be useful and even a bit of fun, too.